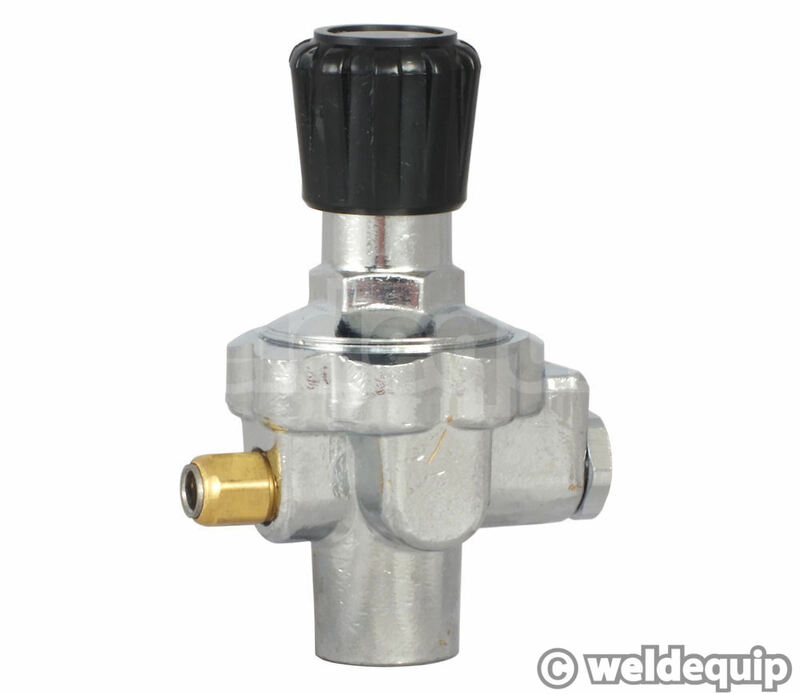 A gas regulator for use with the disposable type MIG & TIG gas canisters that actually WORKS! Some are next to useless, not letting any gas through until turned up to maximum, some don’t let any gas through at all, and others leak! ; this one does the job. Standard 1/8" BSP canister valve fitting with a quick connector to accept the small bore (4mm OD) white plastic pipe on the back of your machine. Solid brass construction with adjustable pressure control.